Manage your Franchise with products and solutions from Intuit. We've customized end-to-end business management solutions for Franchises. Now it's easy to manage your finances, make payroll, take payments, and order supplies…with special discounted pricing just for you. Track sales, issue purchase orders, invoice customers and manage expenses with QuickBooks accounting software. Worry free payroll and taxes from the leading Payroll provider. Accept credit cards, debit cards, and checks with the same tools you use to run your business. QuickBooks. Organize all your business finances in one place. Track your money, import from your bank, and always be ready for taxes. It's accounting software made easy. All the features of Pro, and advanced reporting and tools tailored to your business and industry. * Discount offers are available for new qualified trade associations (franchise, insurance company, association member, multi level marketing group, church, or school, as approved by Intuit) who subscribe to QuickBooks Online Essentials and /or QuickBooks Online Plus. You may cancel the trial at any time during the trial period. After the trial, Qualified trade associations will receive 30% off the then-current MSRP monthly subscription price for the life of the active subscription. Your account on file will be automatically charged monthly at the then-current monthly subscription price less 30% for the service you selected until you cancel your subscription. To cancel your subscription online in product or by calling (800) 624-1377. MSRP monthly subscription price is subject to change at any time in Intuit’s sole discretion. Once the subscription becomes inactive or is canceled the discount pricing is no longer available. Discount applies to new QuickBooks Online trade associations only. Offer is only for a limited time. Terms, conditions, pricing, features, service and support options are subject to change without notice. With over 1 million customers, you can be confident you're choosing the small business payroll leader. Our flexible solutions help you easily manage your key payroll jobs, stay in control, save time, and get back to doing what you do best. Enhanced Payroll — Most Popular! Easy, accurate payroll — free trial, QuickBooks not required. *Pricing valid for two years from date of activation. A fast and convenient way to pay your employees. Faster payment processing is easy with QuickBooks. 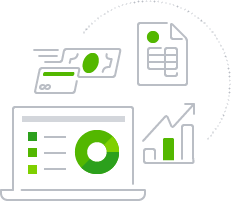 See how effortless online and mobile credit card processing can be when you accept payments in QuickBooks. All your payment processing needs are built into QuickBooks. Accept credit cards, debit cards, and bank transfers (ACH) online, and get paid with your iPhone®, iPad® or Android™ device. For QuickBooks Online a compatible Web browser is required. For QuickBooks Desktop, QuickBooks 2019 software is required. Computer with Internet Explorer 10, Firefox, Chrome, or Safari 6 and an Internet connection (high-speed connection recommended). The QuickBooks Online mobile app works with iPhone, iPad, and Android phones and tablets. Receive up to 35% off on Secure Plus Voucher Checks and other supplies you need for your business. Save time and money by printing three at a time. Get effective defense against fraud - including an exclusive maximum-protection toner-adhesion strip that makes it easy to spot attempts to lift off print and other signs of paper tampering - for peace of mind when making business payments. 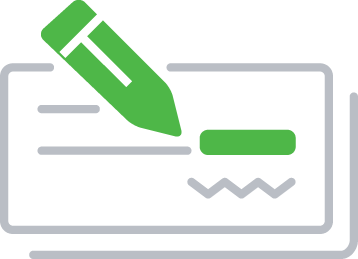 Track payroll deductions and invoice payment details with check stubs. Designed Exclusively for use with Quickbooks. Get fraud-fighting security features, including an exclusive maximum-protection toner-adhesion strip that makes it easy to spot attempts to lift off print and other signs of paper tampering. These checks are also great for paying employees and suppliers. Get maximum fraud protection with all the scam-fighting features of Secure Plus Voucher Checks plus a security hologram that's easy to verify but hard to copy. These checks are virtually impossible to counterfeit! These basic checks offer minimal protection against fraud. Use these to track payroll deductions and invoice payment details with convenient check stubs.